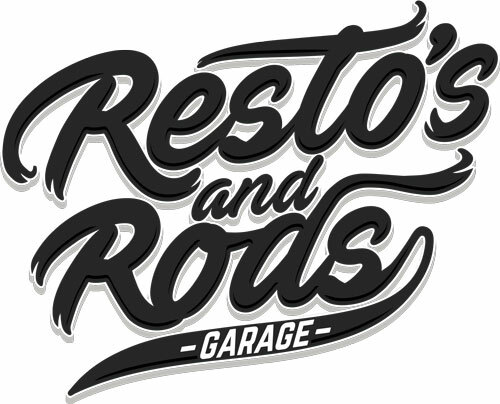 At Resto’s & Rods Garage, Car Restoration is our specialty. The Resto’s & Rods team can take care of your entire build or restoration project from the ground up or repair and restore your car to your needs. Resto’s & Rods will RESTORE, REPAIR, DESIGN and can manufacture your Dream Car. We are a true Restoration garage focusing on what our customers needs and desires are above all else. We are truly passionate about restoration and bringing cars back to life for our customers and the stories behind them. Our state of the art facilities are fully equipped to handle all stages of the Restoration process. Everything is done in house by our qualified team from Metal Fabrication to Chassis Modification, Engine Reconditioning, Rebuilding and Performance Engines. Custom Body, Rust repairs, Panel Fabrication and Paint. We will project manage Blasting, Chroming, Trimming and accessories. We are a one stop Garage for your Restoration. We can even help source your dream car for you! We understand that your car is a very important part of your life. We love cars too! Your car is a valuable investment which requires the utmost care. By incorporating great service, the best technology and products available and a team of skilled professionals that love cars, we will have your car on the road looking like the day it rolled off the production line, if not better! ADDRESS: 6 CHURCHILL STREET WILLIAMSTOWN NORTH 3016 PH: 03 8529 3063 or Email us and we will be in touch.